The clock strikes twelve, ushering in the new year. In several South Bay cities, including San Jose, Santa Clara, Cupertino, Mountain View, Palo Alto and Sunnyvale, the start of the new year also meant an increase in the minimum hourly wage to $15 per hour. The federal minimum wage has remained at $7.25 per hour since July 2009; however, California’s minimum wage has been increasing steadily due to the rising cost of living. According to California Senate Bill (SB) 3, the state’s minimum wage, currently set at $11 per hour for employers with less than 25 employees and $12 per hour for employers with more than 25 employees, is set to rise $1 each year to reach $15 per hour by 2023. 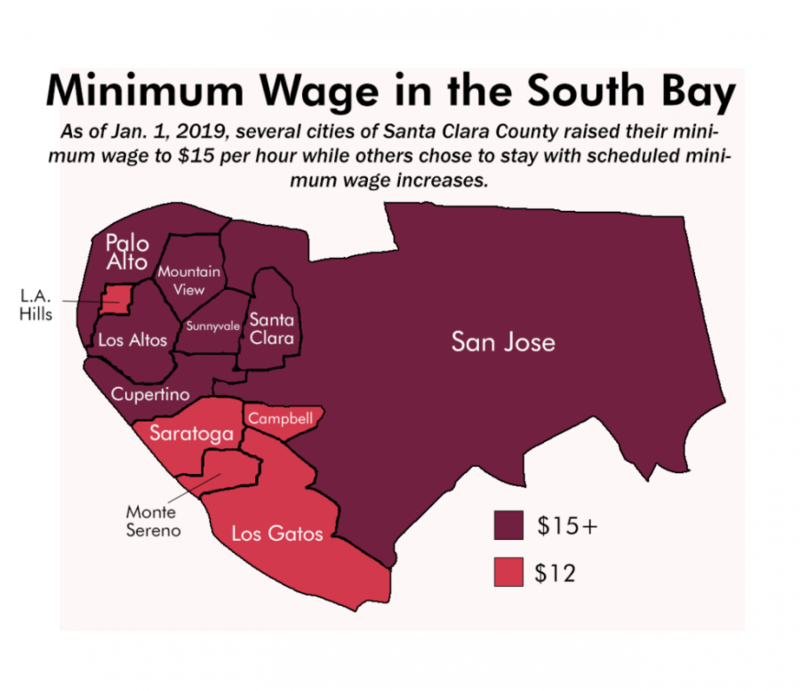 15 cities in the Santa Clara County instated the $15 minimum wage this year. After 2019, these cities will determine the need for an increase in minimum wage depending on whether there is a net increase in the cost of living. The process that goes into determining the minimum wage is divided into the technical and political aspects, according to Matthew Record, a professor of political science at San Jose State University. The technical process includes creating a minimum wage that is high enough to help people with low income but not so high as to harm businesses. However, Record believes that it is the political aspect that brought the $15 minimum wage to reality. Despite the benefits that an increased minimum wage offers to employees, it also leads to some disadvantages. While it gives an increased amount of money to students to spend or save, some are concerned about its long-term effects. Saratoga, however, chose to stick with the scheduled minimum wage increases enforced by SB 3. 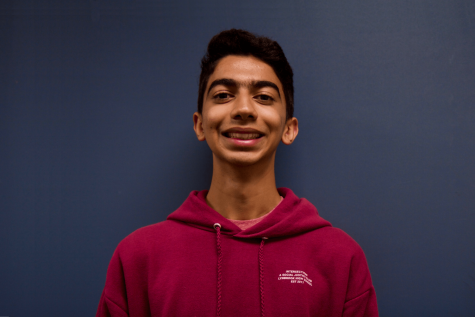 Despite a lower minimum wage, senior Kavya Balaji has been working as a tutor at Brighter Future Learning Center in Saratoga for two and a half years and earns $14.50 per hour, which is higher than Saratoga’s minimum wage of $11 per hour. Employers, on the other hand, will be faced with the challenge of having to pay employees more. Carlos Ramos, general manager of Tomatina, deals with the increased minimum wage by cutting down costs of air conditioning and napkins. He acknowledges the disadvantages of having to pay employees more but looks at it through the employees’ perspective as well. Ramos also views the minimum wage increase as an advantage in terms of employment appeal and job applicants. While an increase in minimum wage may seem more beneficial to some people more than others and push employers to make difficult choices, it is an important step in ensuring that city residents are able to meet the rising cost of living in the Bay Area.